Long-lasting fuel doors machined from billet 6063 T-6 aircraft aluminum. Easy, no-drill installation takes less than five minutes and uses existing mounting points and hardware. A compact, concealed cam-action hinge and corrosion-resistant hardware provide years of smooth, trouble-free operation. Available in Brushed Aluminum, resist scratches, chips, dings and weathering. Fuel Doors machined from billet 6063 T-6 aircraft aluminum. Easy, no-drill installation takes less than five minutes and uses existing mounting points and hardware. 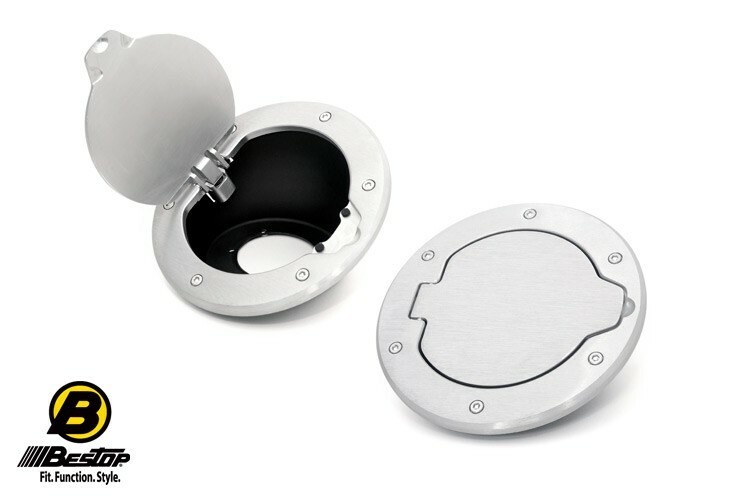 Compact, concealed cam-action hinge and corrosion-resistant hardware. Resists scratches, chips, dings and weathering.